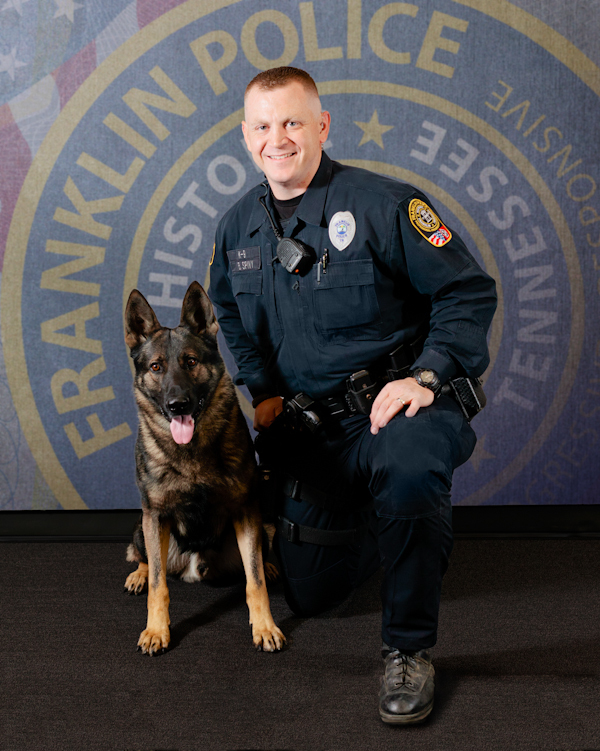 Franklin, TN – Officer Brett Spivy and his partner, Axel, have returned from the United States Police Canine Association with 2nd Place honors. The national field trials were held last week in Wilson, NC. More than 100 teams from across the U.S. competed. In addition to their 2nd Place, Overall win – Officer Spivy and Axel placed 2nd in Total Search, 3rd in Criminal Apprehension, and 3rd in Agility. Their comprehensive score was 690.50 out of a possible 700 points – the highest national competition score, ever, of K9 teams in the Franklin Police Department’s 155-year history. Congratulations to Axel ( and Officer Spivy, too!) We are so proud of you both! Not only are you both gifted and smart, you are Very Handsome!